Hi, I'm doing a research on go in archeology. 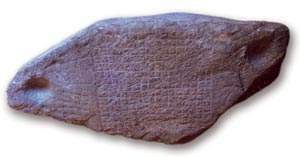 I've seen the picture of the tibetan stone (with the board drawn on it). It seems very interesting, but the exact place where it was found is not mentionned nor the date. I'd like to get further informations. 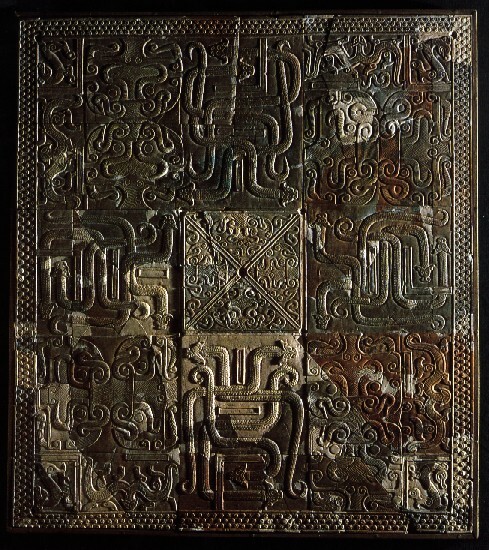 I'm afraid that I don't know much about the details of the Tibetan stone go board. 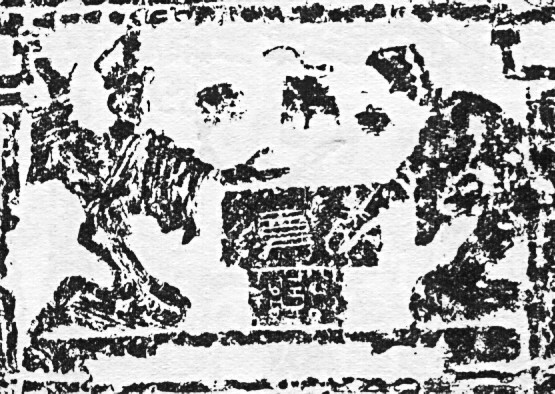 I do not know if it has been published in an archaeological journal or not, and have had to rely on the press release that you can find on numerous Chinese sites. 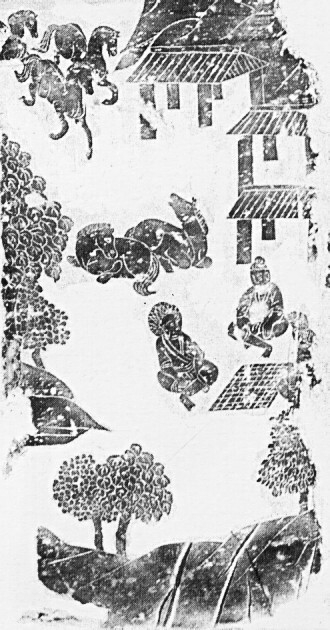 According to this the stone was discovered in 2000 at the ruins of the Gyama Palace in Medro Gongkar County, near Lhasa. 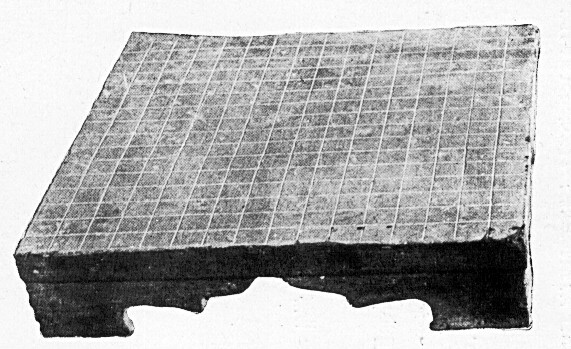 The palace was built by King Namri Löntsen in the sixth century, but there is no indication of any dating evidence for the stone go board. 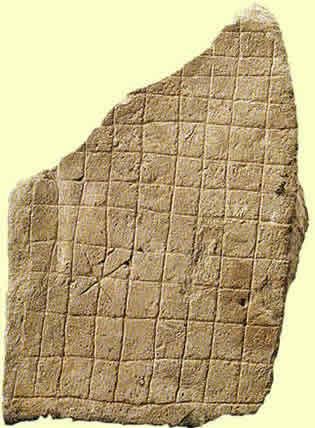 The board itself is made from a large but irregularly shaped stone (144 cm x 56 cm), on which is carved a 17 x 17 grid. At each end of the stone there is a 10 cm wide hollow to hold the go stones. Thanks for this post. 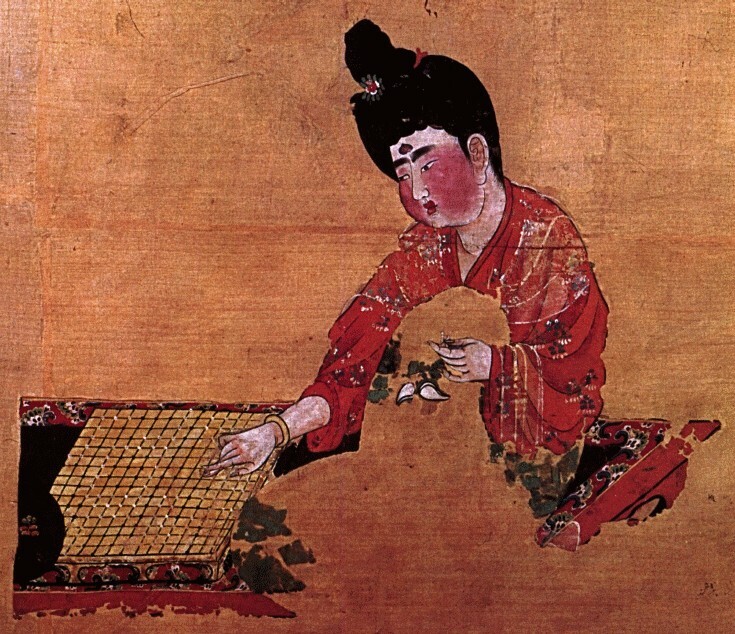 I find myself persuaded that Go probably isn't significantly older than the Han Dynasty. 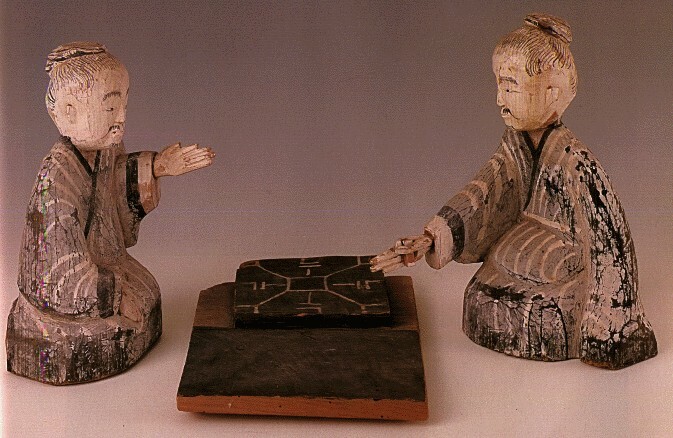 The Sui Dynasty board interests me because I would have considered it a 17x17 board, not a 19x19, since stones played on the first line (the line along the edge) would topple off of the board. (That would move the star points from 4-4 to 3-3 though.) But perhaps the stones were smaller than what we use now? I agree that the outermost lines would be virtually unplayable because of the lack of an edge, but the star points indicate that it must be a 19 × 19 grid. 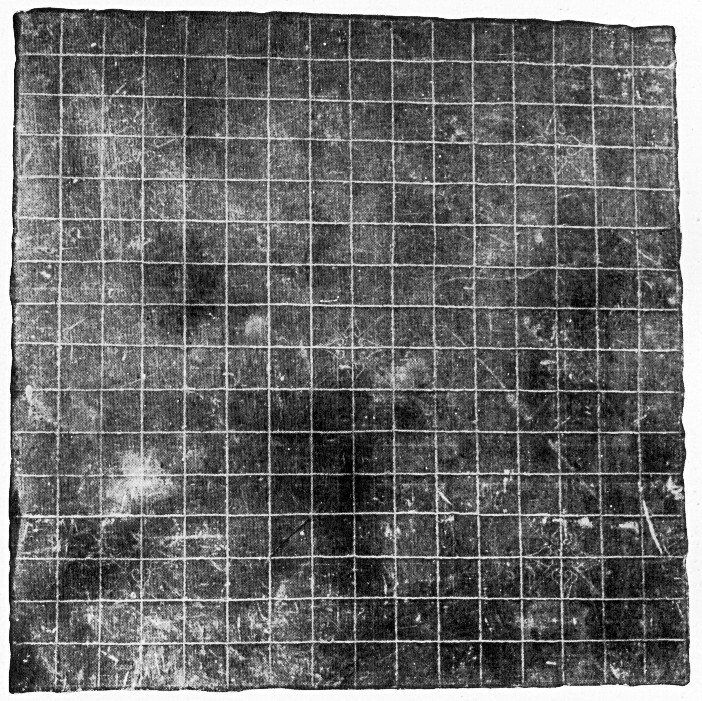 The Han dynasty 17 × 17 board from Wangdu also has almost no edge (and star points marked as the 4/4 points). 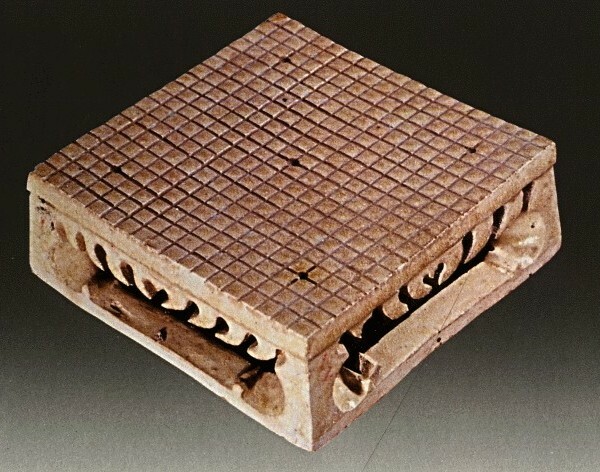 It is possible that the Sui board at least was a non-functional model made specifically for tomb use, but that does not seem a very good explanation to me. Another possibility is that in the early version of the game it was not considered polite or proper to play on the edge points (in the same way that the centre point was not normally played on), and so there was no need for an edge. 博奕 in 論語 is a sort of Liubo. Therefore 論語 cannot guarantee the reality of "Go" in those times. If you are interested in it, I will post the information of it continuously.